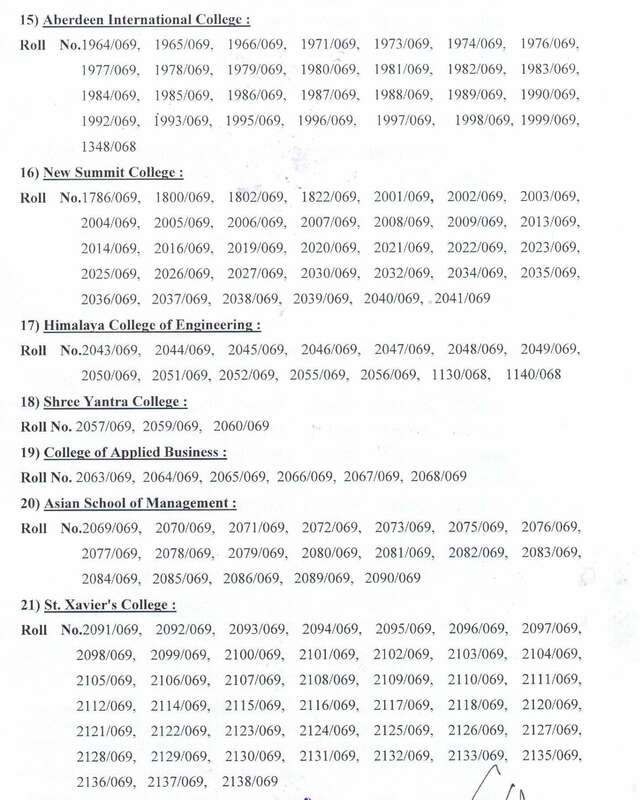 Agriculture and Forestry University, dean office, Rampur Chitwan announces new admissions for Bachelor of Science in Agriculture (B.Sc Ag) for the academic year 2074/2075. 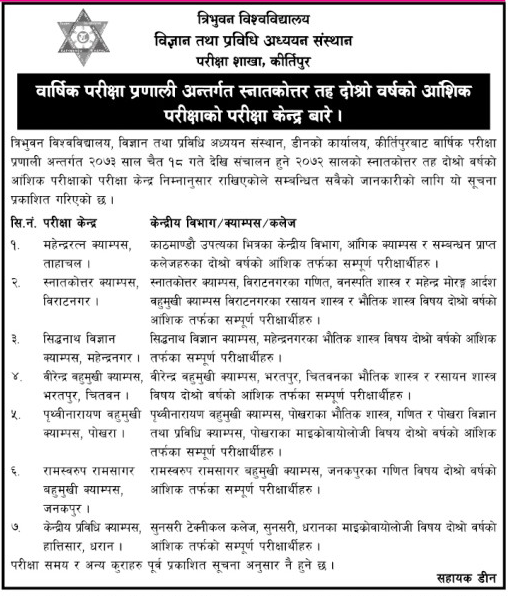 Candidates willing to seat for entrance examination are requested to fill the online form with Marksheet, Character certificate, Citizenship photocopy and passport size photos. 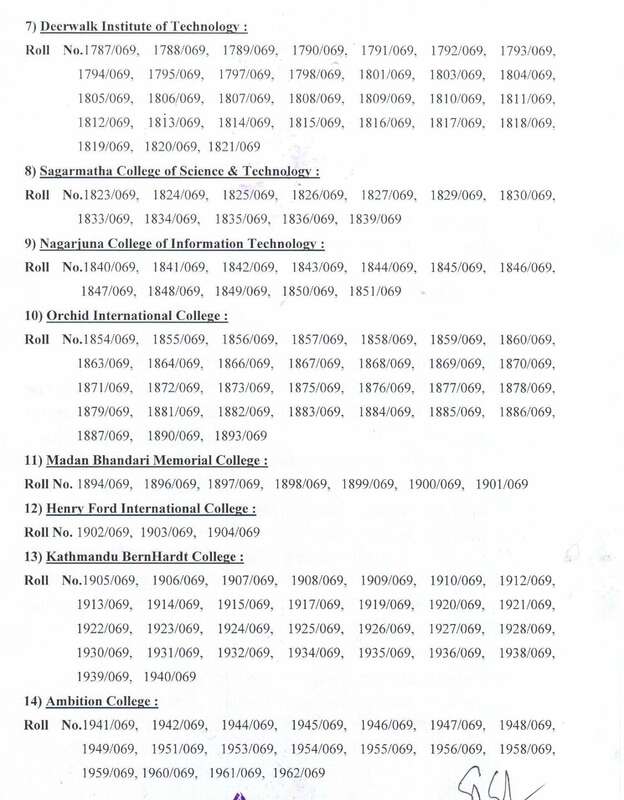 Minimum eligibility for admission: After passing SLC or equivalent examination, the candidate must have passed I.Sc (Science/Agriculture), 10+2 Science/Agriculture or equivalent examination and studied English, Chemistry, Biology of 100 marks each and Physics & Mathematics of 50 marks each and secured at least 50%. 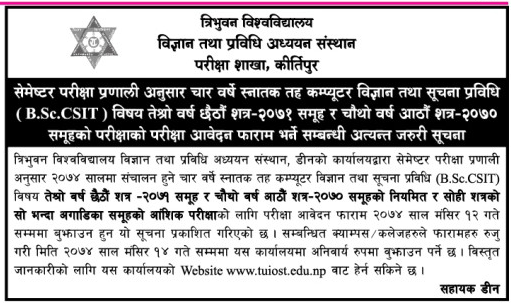 Students who do not fulfill this eligibility requirement will not be allowed to take part in the examination. 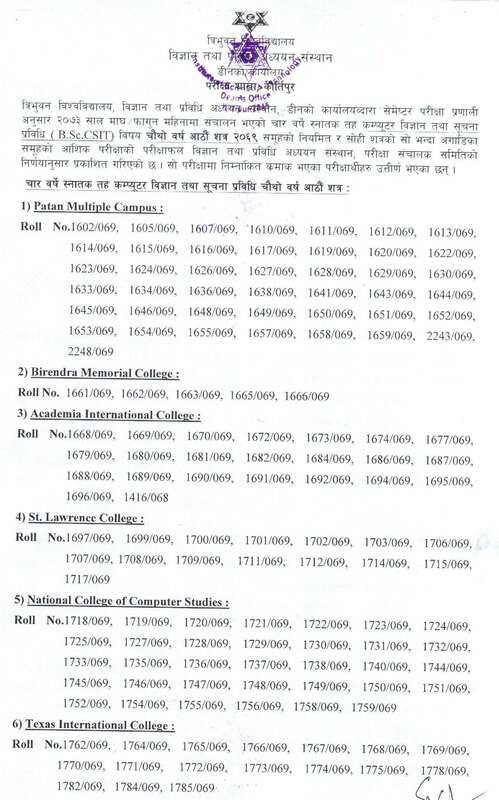 Entrance exam form distribution and submission: 2074 Ashoj 22 to 2074 Kartik 17. 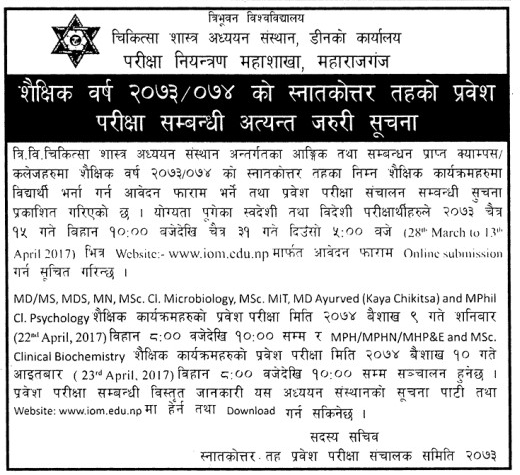 Entrance examination center: Dean office, Agriculture faculty, Rampur, Chitwan, Nepal and other places will be fixed later. 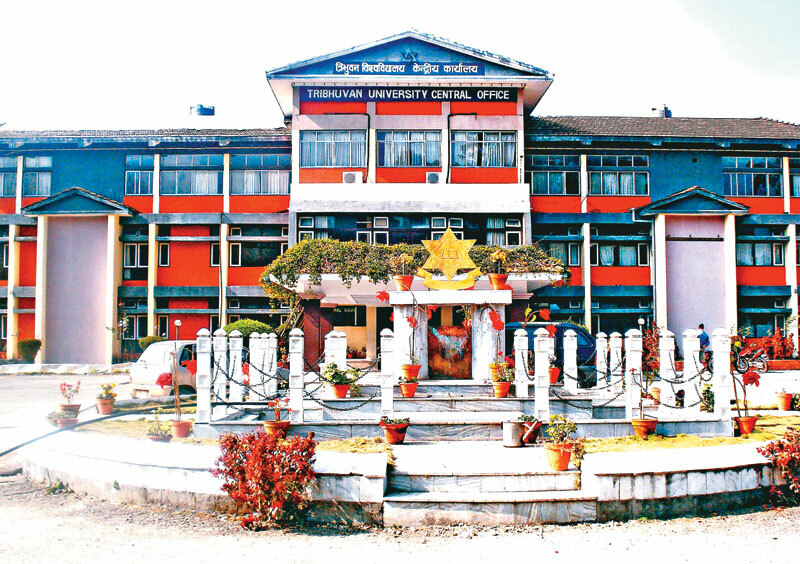 Tribhuvan University, Examination controller office, Balkhu today publishes an examination schedule for the upcoming examination of 3/4 years B.Sc, B.Ed and BBS (Both 3 years and 4 years program).The examination will be conducted in two shift: Morning & Day. 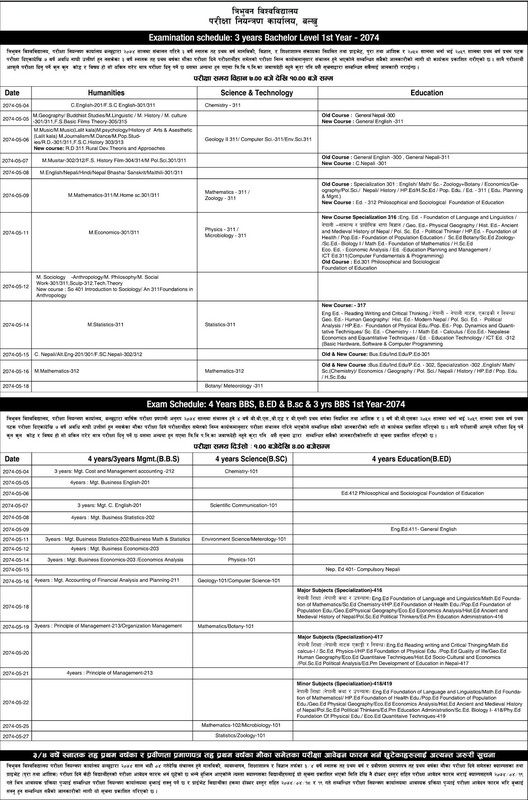 Day Shift (1 pm to 4 pm): 4 years BBS, B.Ed, B.Sc and 3 years BBS 1st year-2074. 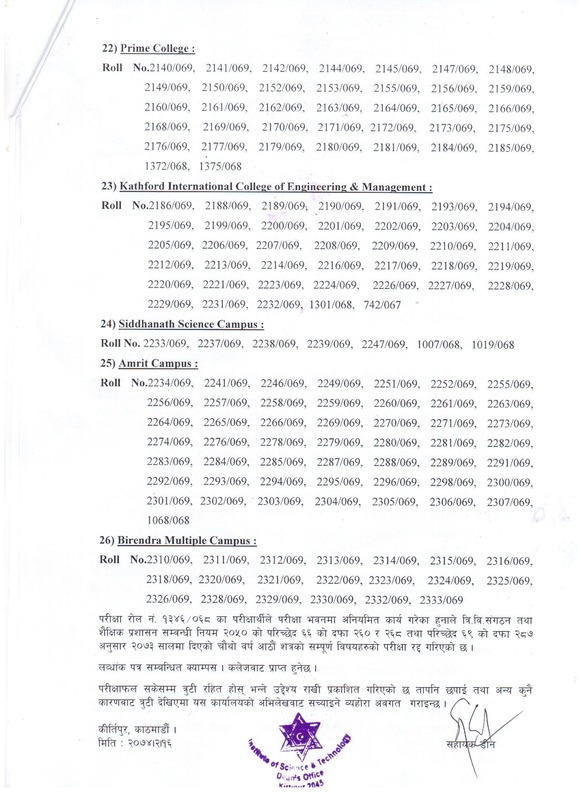 The examination will start from Bhadra 04 and end on 27th Bhadra. 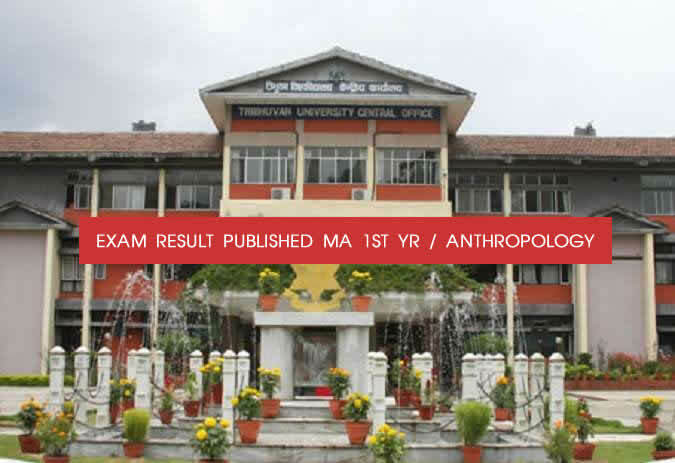 Tribhuvan University, Institute of Science and Technology, Dean office, Examination Department, Kirtipur published the results of B.Sc CSIT program, 4th year, 8th semester 2069 regular and partial examination of previous batches. 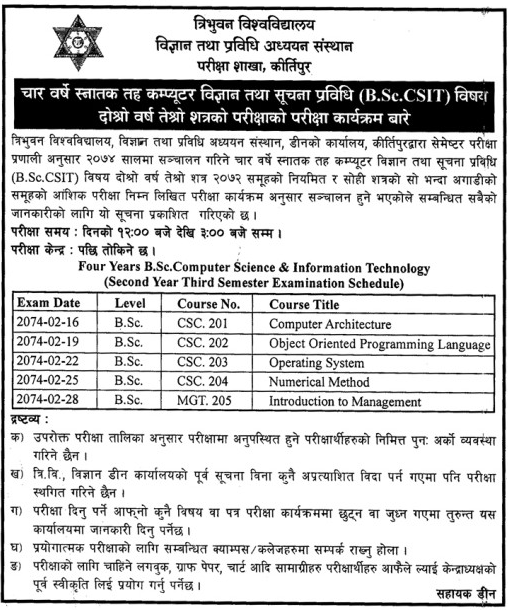 The B.Sc CSIT 8th semester examination was held on semester system in 2073 Magh/Falgun. 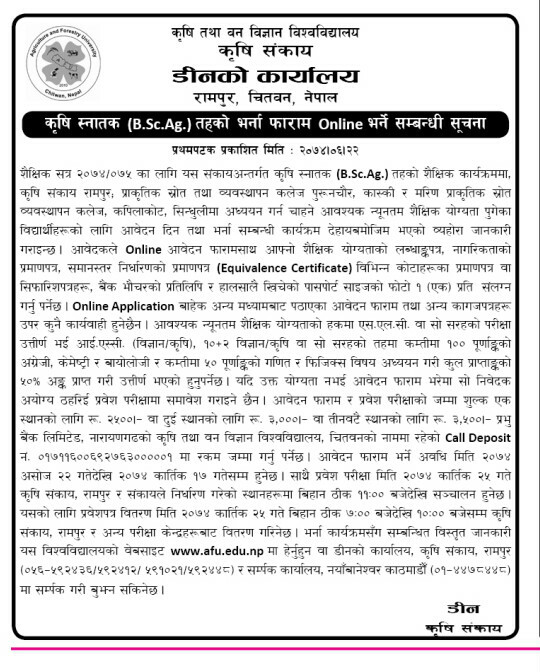 Tribhuvan University, Institute of Science and Technology, Examination Department today publishes the examination center notice for upcoming examination of Masters of Science (M.Sc) Second year partial examination which is going to start from Chaitra 18, 2073.